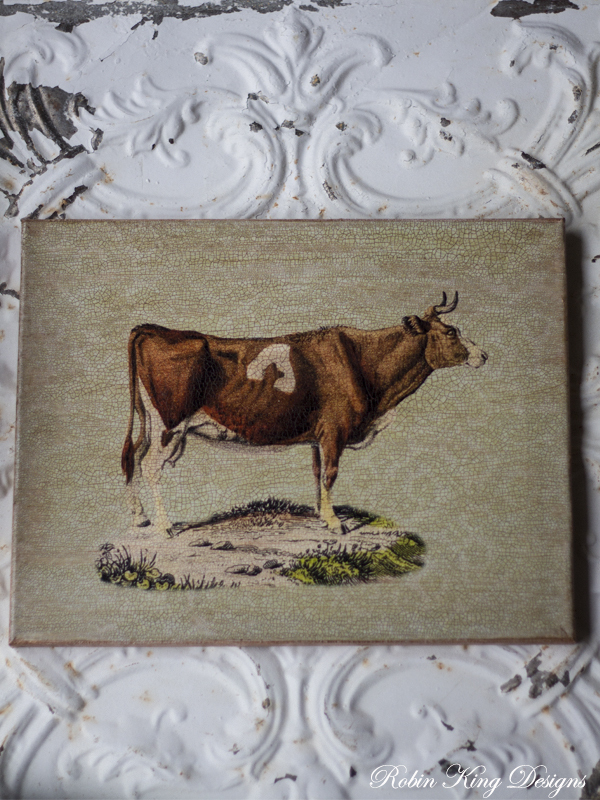 A beautiful 11 by 14 inch canvas with an antique cow image on a light green pattern. The canvas is finished on the sides and can be hung directly on the wall or placed in a frame. It's signed on the back and features my signature crackle finish.